Before the 2nd World War, Warsaw had one of the greatest numbers of Jewish inhabitants in the world. Although their heritage was almost annihilated by the Nazis in 1944. 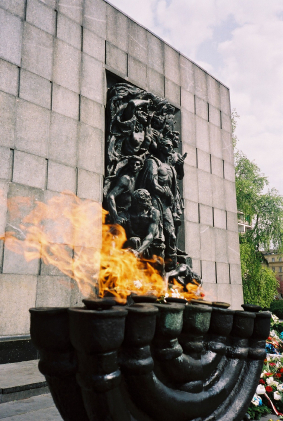 The tour leads through: the Nozyk Synagogue (the only remaining synagogue in Warsaw - was erected in years 1898-1902), Grzybowski Square, the Monument of the Ghetto Heroes from 1948, Memorial Route to the Struggle & Martyrdom of the Jews 1940-1943 continues to the Umschlagplatz Memorial marking the spot where around 3.000 Jews from Warsaw Ghetto were loaded on trains and bound for the Extermination Camp in Treblinka. Next stop is the Jewish Historical Insitute - the oldest and largest of its kind in Poland and we end the on the Jewish Cemetery located at Okopowa street, a resting place to more than 200,000 people.